Welcome to my Hypnotherapy for treating anxiety website. Subscribe to Download Steve's FREE Anxiety Busting eBook. I help people with anxiety. I offer One To One sessions with Hypnotherapy for treating anxiety. As well as hypnosis downloads and other anxiety treatment Hypnotherapy services. Anxiety comes in many forms and has many unwanted symptoms. Such as: Stress, anxiety, panic attacks, low self-confidence, compulsive behaviour, fears and phobias. I use a powerful combination of Hypnotherapy for treating anxiety and Thought Retraining. This adds up to a very effective anxiety treatment. When we use Hypnotherapy for treating anxiety we can eradicate annoying symptoms and anything else that could stand in your way of living the life you want. “I have been successfully providing relief from anxiety for over 20 years. My tried and tested anxiety treatment solves the problem quickly and efficiently. Using a combination of cutting edge psychological techniques we can reverse the negative cycle of anxiety in weeks, not months or years. You no longer need to suffer with anxiety”. 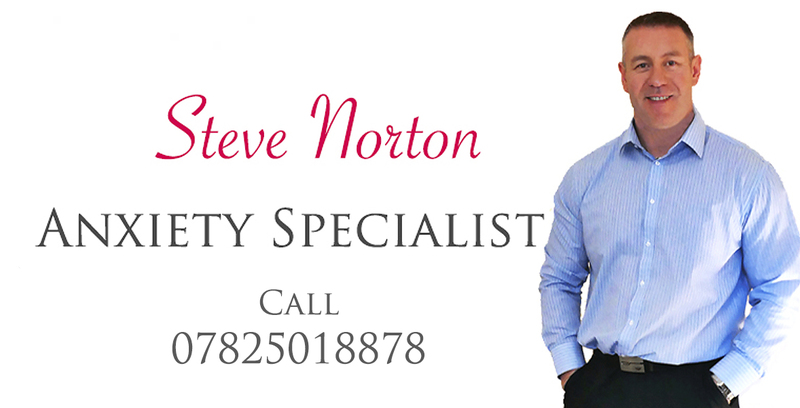 Please watch Steve’s video below to see how he overcame anxiety. I help people with anxiety and many related conditions. There are literally too many to list. Below are just a few of the things I can help with. Click on the links below to find out more. Do I have anxiety? Do you wonder if you have anxiety? What are the symptoms? Simply click the cube photo and find out! I offer a FREE 20-minute telephone consultation. You can ask me anything you want about my therapy. If you'd like that just fill out the form. I will text you personally to arrange a suitable time to discuss. Please make sure you are available to take the call once a time is confirmed. Anything you want Steve to know before the call? All communications are 100% confidential. Check out the FAQ and Hypnotherapy and Hypnosis FAQ for detailed information about how my anxiety treatment, and how Hypnotherapy for anxiety works. Working together we can conquer your fears, anxieties and phobias. I offer One To One sessions as well as Hypnotherapy for treatment of anxiety and other Hypnotherapy services covering, Stockton on Tees, Ingleby Barwick, Middlesbrough, Yarm and the whole of the North East.